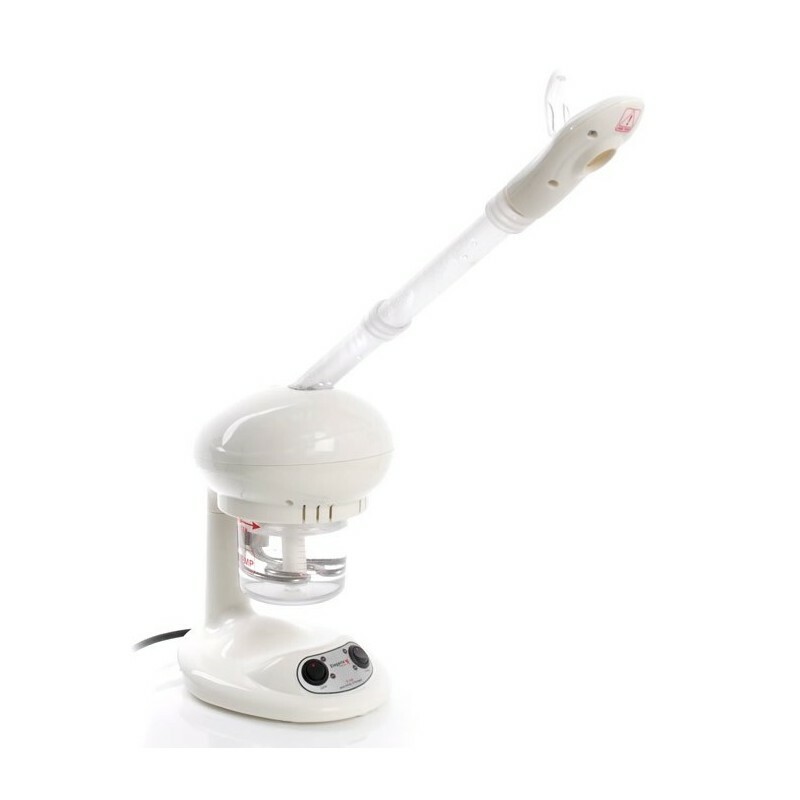 Portable ozone steamer. White plastic frame and an acrylic tank. It is equipped with a pivoting arm and a rotating head with an aromatic oil receptacle.